The splitboard that has surprised me the most this winter has been the Weston Backwoods Splitboard. At first, I looked at the shape and thought it was very powder specific niche type snowboard. 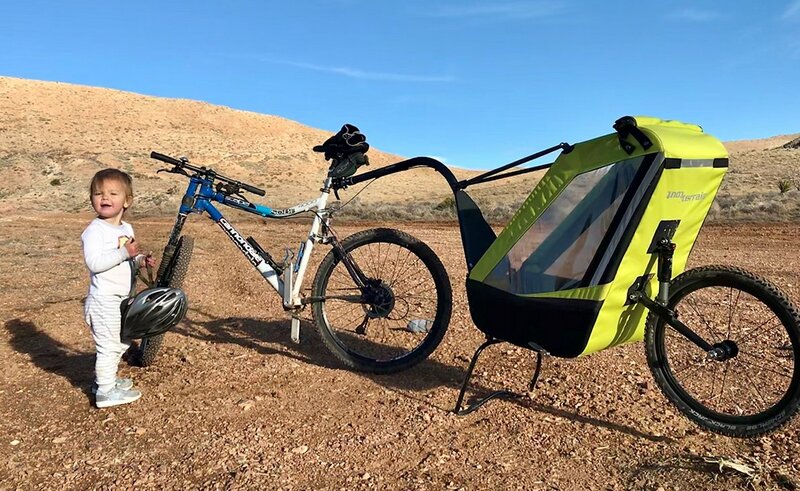 Most likely made for the guy that can afford a quiver of splitboards. But for the rest of us, where would a board like this fit in? Weston has been making huge moves as of late really impressing us by winning our editors choice award for their Weston Big Cheif Splitboard and most recently making our annual list of the best splitboards of the year with the Range Splitboard. The Weston Backwoods Splitsort of fell to the back burner in our test, that has all changed for the better. 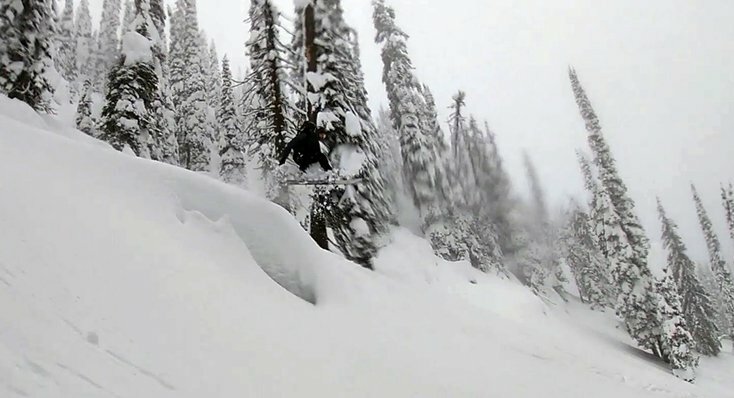 My goto splitboard this season has been the Weston Backwoods Splitboard and here’s why. 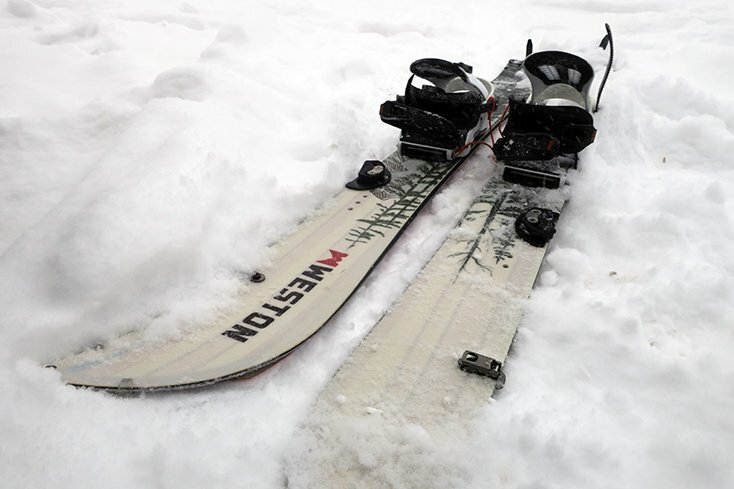 Where the Weston Backwoods Splitboard truly excels is with its shape defining attributes. This is a surfboard made for snow with one of the largest spoon noses out there. With an 18mm taper design, and a directional shape that is even setback you know the board is going to offer a ton of float. What’s most surprising about this shape and design is the board’s ability to make lightning-fast turns and adjustments on the fly. Thanks to the mix of polar and bamboo this board offers really nice rebound when flexed coming in with a flex rating of 7 out of 10. So although it’s more of a big mountain powder board it keeps it’s fun playful feeling on the ride down. There are times where I feel the Weston Backwoods popping in the air from turn to turn riding the way a much smaller snowboard would perform. Especially for a beast of a 163 snowboard. Weston, are you reading this? You guys should start making skins of perhaps look into a brand that is making tapered skins for such a board profile. 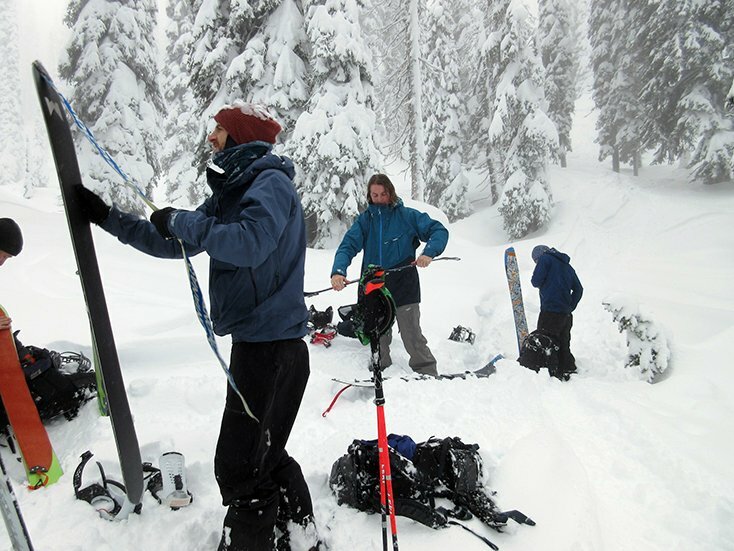 The entire splitboard/snowboard industry is falling terribly behind the ski touring crowd. Skins should not be failing, however with this profile when the skins failed toward the end of long days they would always from the nose. As much fun as this shape is, it’s a little heavier and clunkier on the skin track. I was riding this board with the Union Expedition Bindings which performed well but added even more weight. 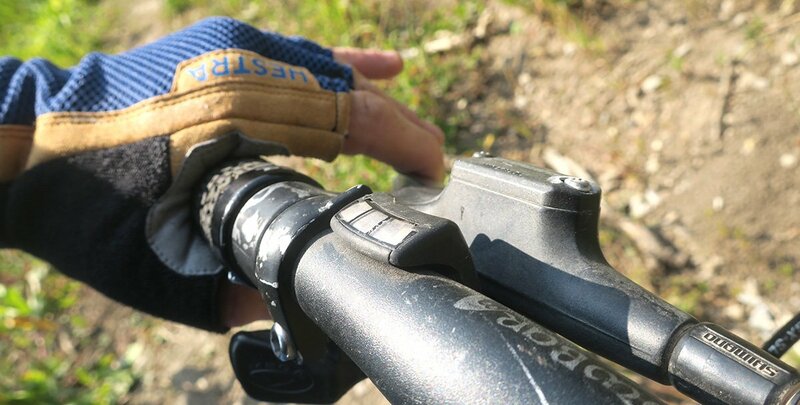 However, even when touring with Spark R&D’s Arc Pros on the Weston Backwoods at the end of the day you could tell by how tired your body was that you were lugging a little bit of extra weight around in the backcountry. 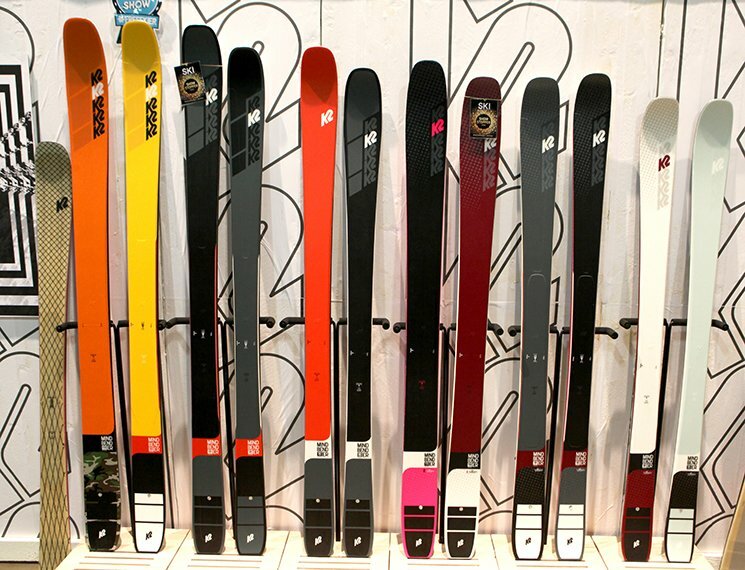 Do you like to split ski? 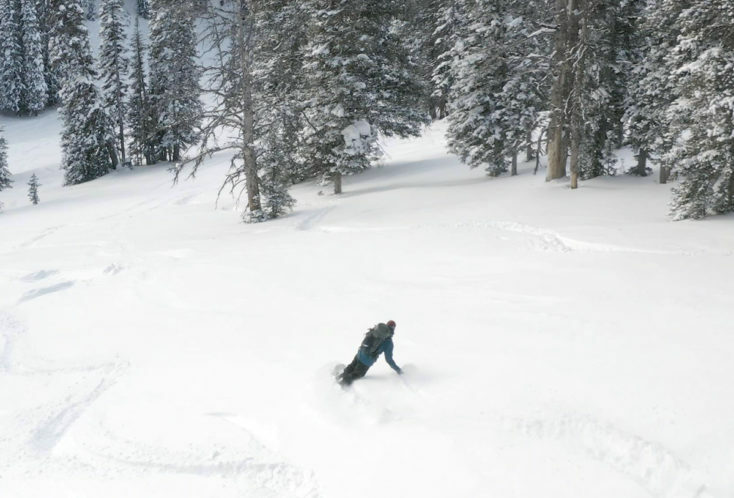 With the little bigger board and a major rise in the nose, the Weston Backwoods Split seems to be a bit easier to ski and whole lot more fun especially if you like telemark turns on powder faces. Buy one if you can. The Weston Backwoods Splitboard ($899) is available in 5 sizes; 152, 157, 160, 163 and a 167. The only problem is these boards are already sold out from Weston. 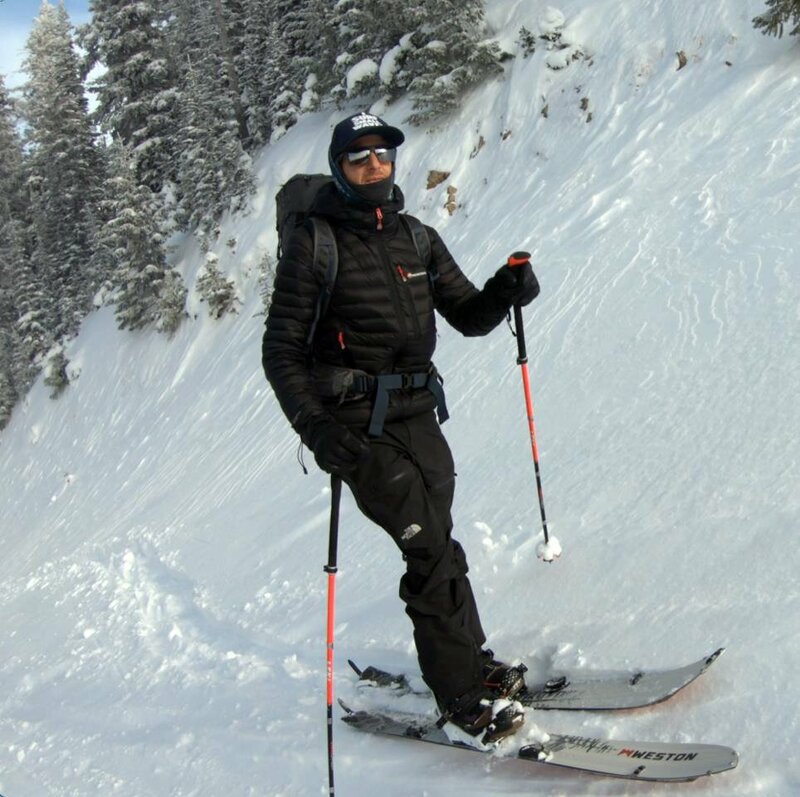 Weston, a smaller up and coming Colorado company is making boards that are truly working especially for splitboarding and shredding in the backcountry. Kudos Weston, the Backwoods Splitboard is now my daily driver. For resort riders, the Weston Backwoods Snowboard is also available in a solid version. I’ve been riding a Backwoods for two seasons now and I’ve been thinking exactly the same things…”this board has a really surfy feel”, and “I expected it to be a pow-specific board, but it has become my daily driver for “nose first” riding. I’m not sure about the flex factor, but the fun factor is 10/10. Nose first riding!!! Thanks for the comment. Weston is onto something here.